Boyish and beautifully weathered with a subtle slouch, our Sylvie Jean perfects the tomboy silhouette every wardrobe needs. Boyish and beautifully weathered with a subtle slouch, our Sylvie Jean perfects the tomboy silhouette every wardrobe needs. The shape sits just below the waist with a relaxed straight leg that hits right at the ankle. 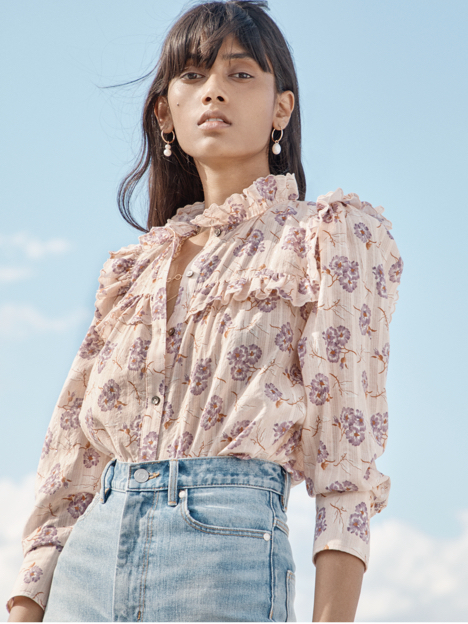 We’re pairing them with tees on the weekends or dressing them up with lace tops, silk blouses and all the floral prints of the season. " Inseam: 29"" Front Rise: 11 3/8"" Leg Opening: 16""